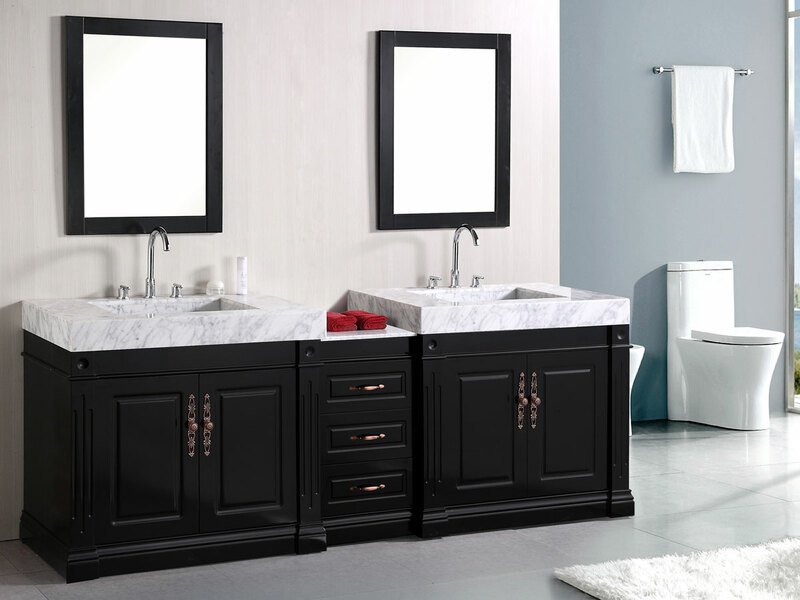 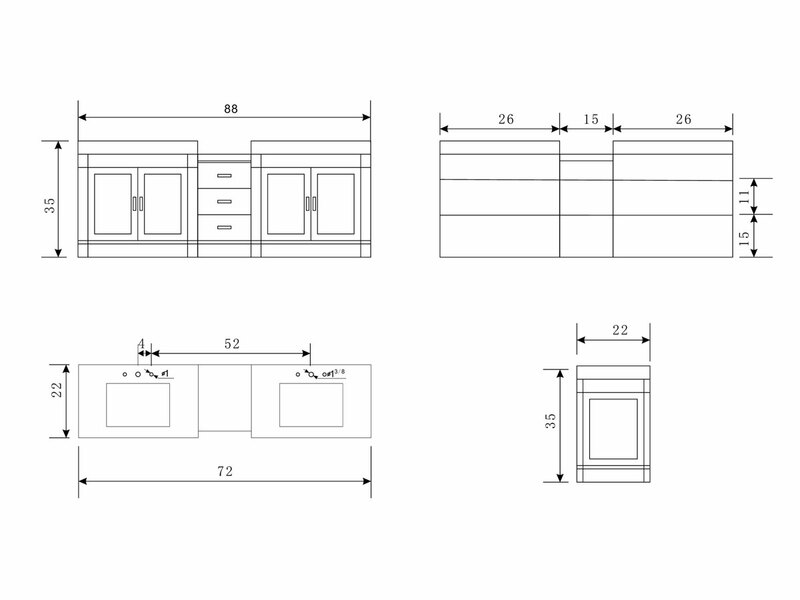 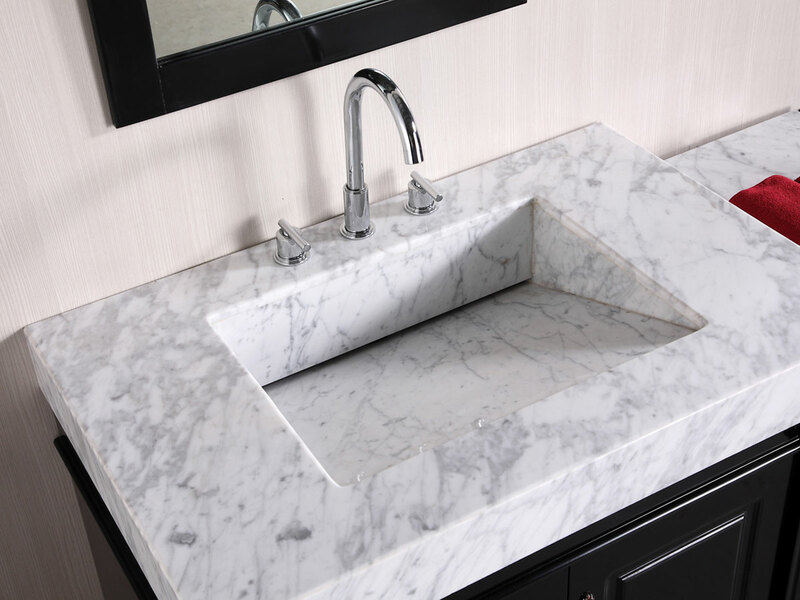 The 88" Odyssey Double Vanity brings bold looks and sophisticated style to your bathroom in a hard-to-miss fashion! 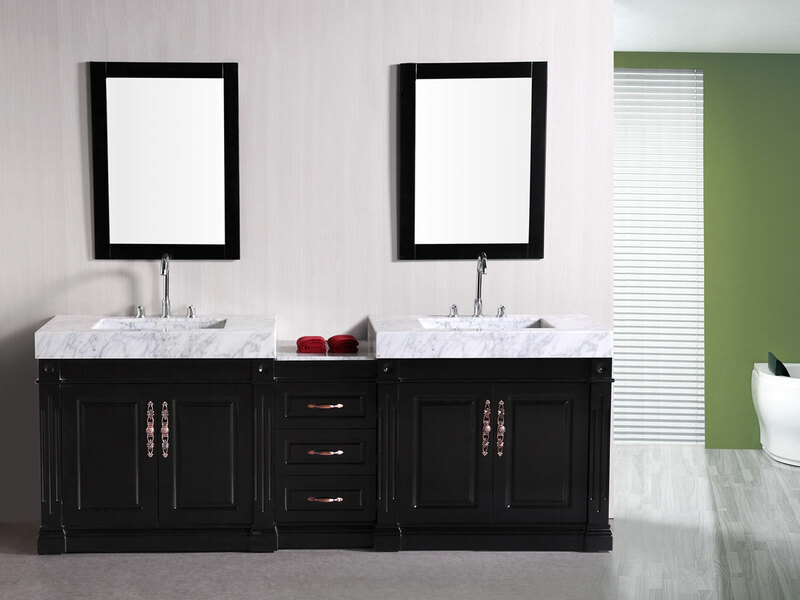 Its cabinet is constructed of solid oak and finished with a rich Espresso finish, that's then matched with the highly classic White Carrera Marble top and sink, giving the Odyssey a regal appeal. 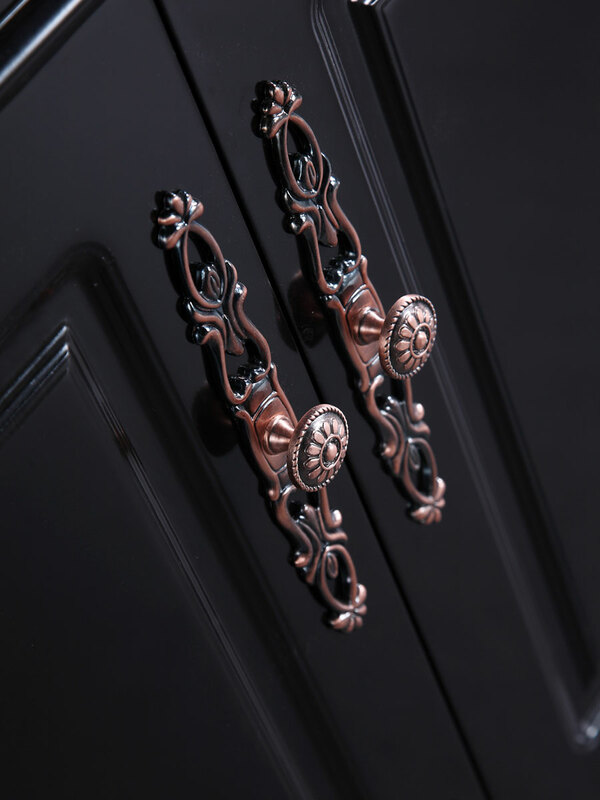 The cabinet features two large double-door cabinets and 3 central drawers that are all adorned with Antique-style hardware.